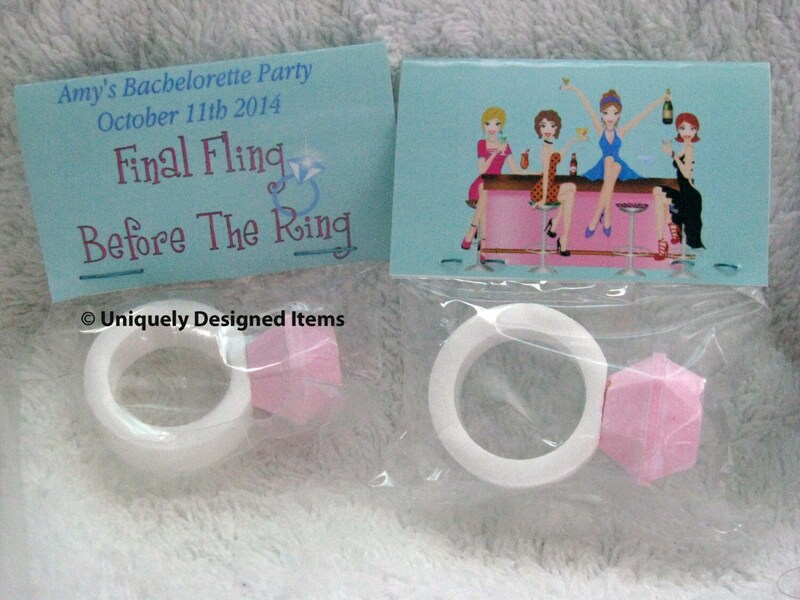 Bachelorette candy party rings-unique and fun! 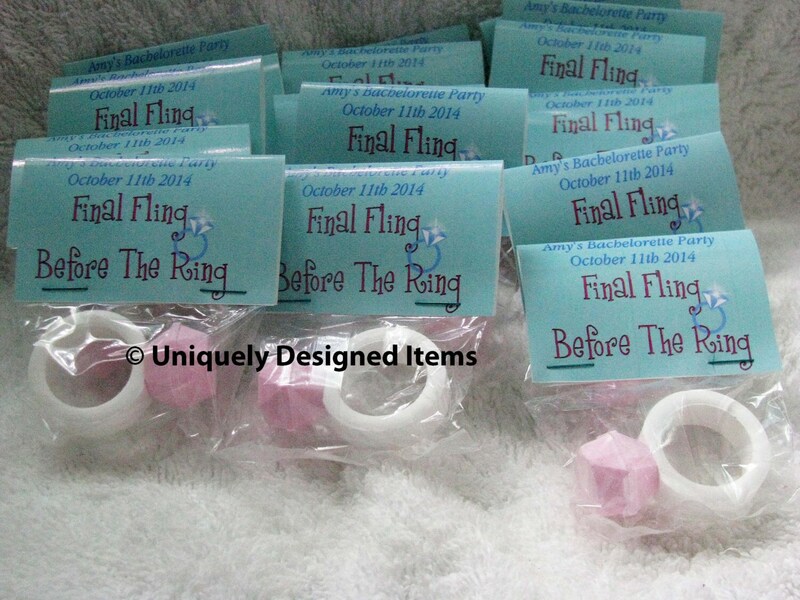 Customize for your party! 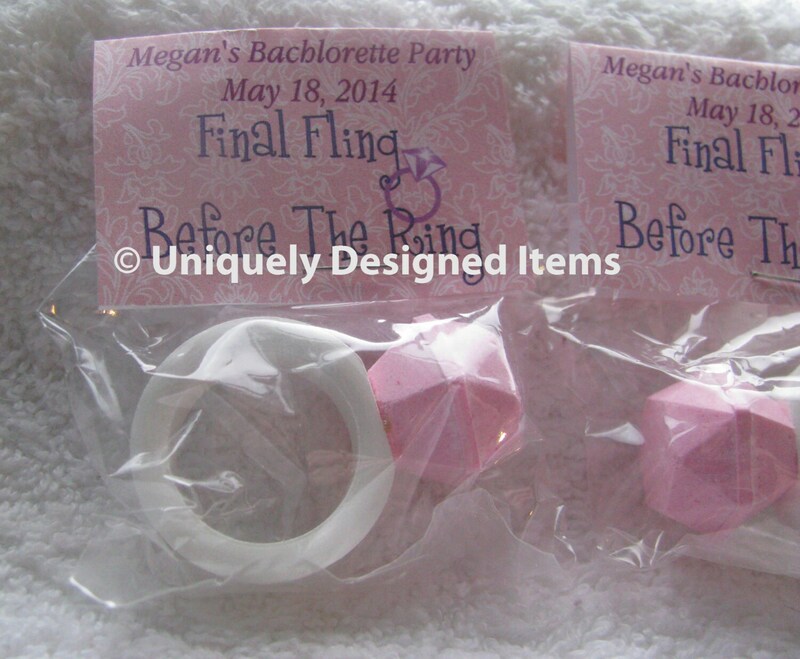 These fun party rings are a great candy favor! Add a custom message. Above design is just one of the many designs. We do custom ones for you. 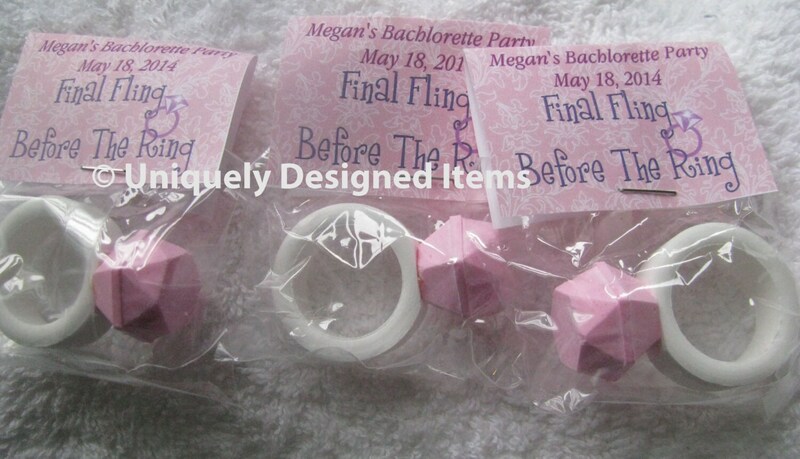 So tell us your colors and theme and we'll make some awesome favors for your girls' night out! These are also just great for any girls night out or event. So please feel free to contact us for other events. Not just bachelorette parties. The shipping is set for up to 25 candy rings. If you would like more, please convo me for shipping. I have 54 in stock and can get more. You can buy less or more. This isn't a set number. Its just that its hard to set it up without putting it in a set. So if you just want 10 or 12, whatever the amount. Just ask for a custom listing. So here's to your party! Add these for an extra special touch to your night!